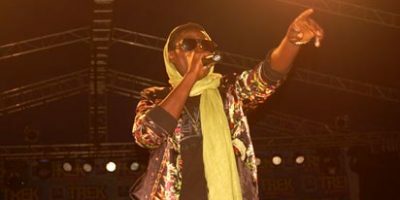 In spite of the radical changes prevalent on the Nigerian music scene, veteran singer, Olarenwaju Fasasi, aka ?Sound Sultan?, has been able to secure a comfortable spot at the apex of the industry by preaching social transformation, advocating a better Nigerian society and condemning vices which are detrimental to the growth and development of the nation. In an exclusive chat, the seasoned singer told Showtime that on countless occasions, politicians have offered him juicy amounts of money to quit singing about social transformation but he refused because he is a man of integrity. Sound Sultan ?I have sacrificed a lot in my career because I don?t want to contradict my message. You think say I nor want money from politician? Dem dey offer me now! They?ve offered me millions to change my message but I cannot eat my own words. It?s not about temptation, it?s not about even me; the most important thing is the people themselves?, he said. Speaking about Charly Boy?s recent outburst, attacking 2face for refusing to support him on the ?our mumu don do? protest which eventually ended in violence, he defended 2face?s decision to boycott the protest. ?2face meant well when he called on Nigerians for a peaceful protest, but the same people he was trying to fight for took it against him, that?s the Nigeria we?re in. It?s not even about Charly Boy! Who were the people who stoned Charly Boy, were they Togolese? They were Nigerians! My brother, make we give ourselves brain?, he concluded. Mark Zuckerburg and his wife Priscilla Chan living a simple life.